Hollywood Medium will return for its second season on E! this August, and the season two premiere will feature Melissa Joan Hart. The actress, which starred on Melissa & Joey and Sabrina the Teenage Witch, will have an emotional reading with Tyler Henry. Check out a preview from the episode, and read more about what’s ahead on season two from part of the press release below. LOS ANGELES – May 9 , 2016 – E!’s summer programming continues to heat up the airwaves with new series premieres and popular returning hits including “Hollywood Medium with Tyler Henry.” The 20-year clairvoyant, Tyler Henry, connected such celebrities as Amber Rose, Jaime Pressly, Boy George, Nicole “Snooki” Polizzi, Michael Sam and Margaret Cho to their deceased loved ones in the series’ first season. Now, he’ll see even more stars when the second season of E!’s “Hollywood Medium with Tyler Henry” premieres Tuesday, August 16 at 8pm ET/PT. 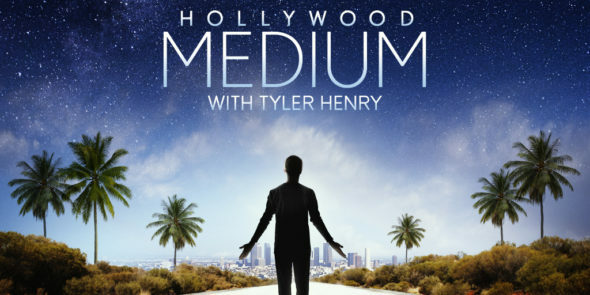 In the all-new season, without any prior knowledge of who he will be reading, Tyler will bring messages from beyond to new celebrity clients including Tori Spelling, Linda Blair, YouTube starlet Madison Beer and Melissa Joan Hart. Season one of “Hollywood Medium with Tyler Henry” was E!’s most watched unscripted series launch in three years, excluding spin-offs, with total viewers. Check out a first look at Melissa Joan Hart’s reading from the season 2 premiere of “Hollywood Medium with Tyler Henry” airing Tuesday, August 16 at 8pm ET/PT on E! Description: Tyler reads Melissa Joan Hart while her mother and sister watch from a monitor in another room. They are brought to tears by the connection he makes with Melissa’s grandmother. “Hollywood Medium with Tyler Henry” is produced by 44 Blue Productions and Corbett-Stern Productions in association with Mortar Media. Michael Corbett, Stephanie Noonan Drachkovitch, Larry Stern, Cameron Kadison and Sarah Skibitzke serve as Executive Producers. Are you a fan of Hollywood Medium? Will you watch the new season this August? Tell us what you think. More about: Hollywood Medium, Hollywood Medium: canceled or renewed?